The D100 looks perfect for both small business and home consumers looking to stream media, listen to music, and also finds itself useful for skype and video conferencing. 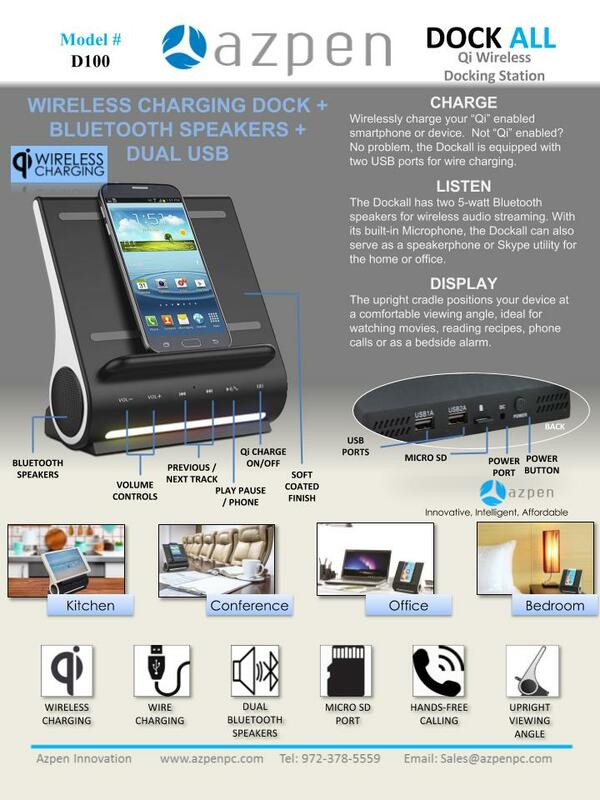 Lets not forget the ability to charge your Qi enabled devices as well as wired charging at the same time. Everyone needs one of these. Find it here. MSRP $149 but most retail at $99. Current retailers: Amazon, Wal-mart.com Best Buy.com, Home Depot.com. Soon to be on Bed Bath Beyond,com. & QVC. While we don’t have much more than a spec sheet at this time, the A828 is a small device that packs a punch. 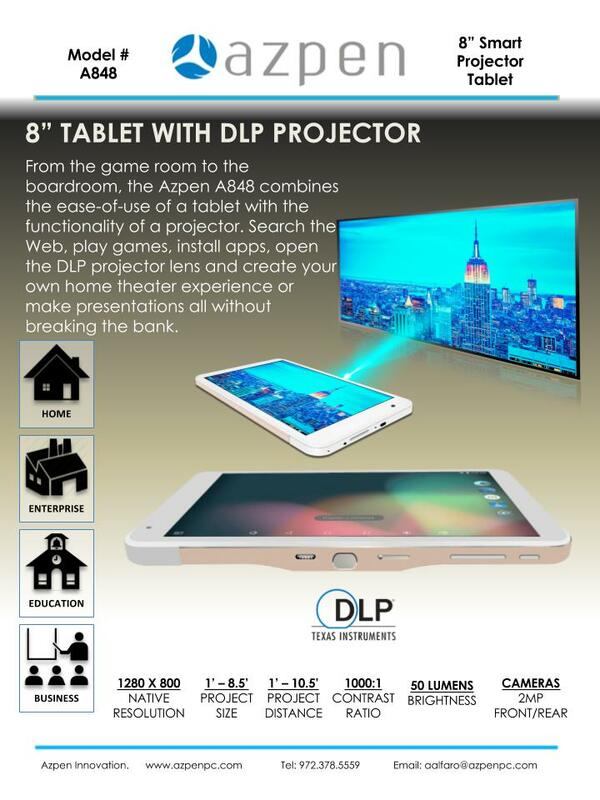 Combining the functionality of a projector with android makes this a great portable device for presentations OTG as well as media device for all the mommy’s and daddy’s wanting to occupy their children in any location. 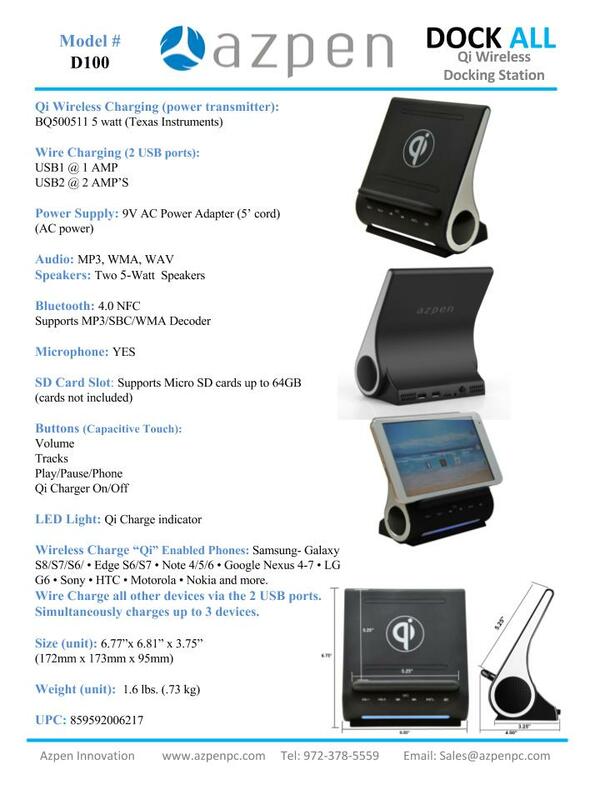 We will see how the battery fairs using it as a portable media center device. It has a good resolution, comes with DLP, and a relatively high capacity battery at 5500 mAh. Innovative consumers would pair this with the D100 for a perfect video conferencing setup. Current retailers: Amazon, soon to be on Bed, Bath, Beyond, Hammacher Schlemmer, & QVC.